Growing up in rural Thailand where I was always surrounded by animals, I developed a natural affinity with them. 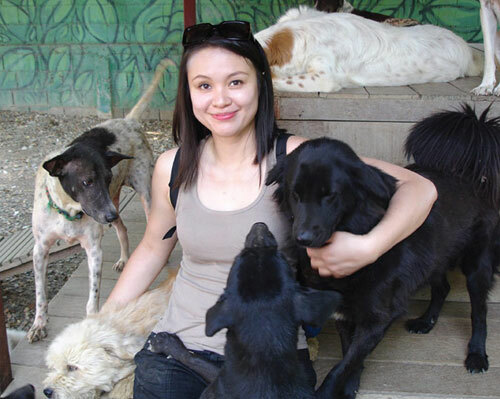 On graduating university I sought a career in animal care, which eventually led me to a position as shelter coordinator at Care for Dogs, one of Northern Thailand's largest animal sanctuaries. 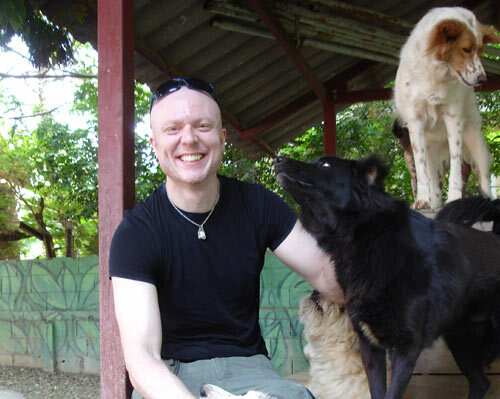 It was here that I first began to develop an understanding of canine behaviour, something which I've since endeavoured to build upon through a combination of personal study and practical experience. 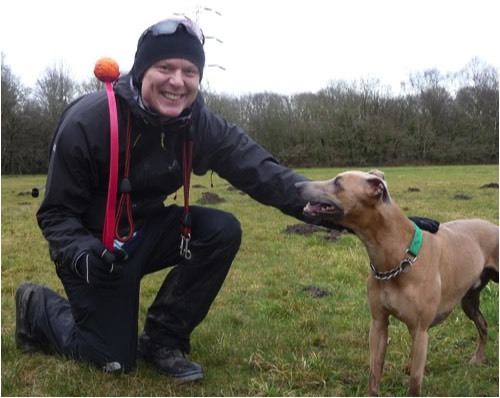 I later married and moved to the UK and worked as a volunteer dog walker for the Society for Abandoned Animals in Stretford. 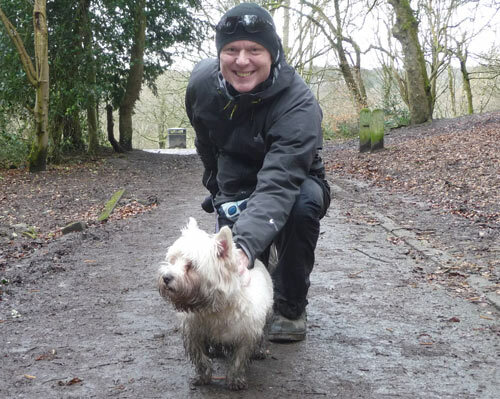 It was this that first brought me to the idea of setting up Dog Walks 'R' Us, and the rest, as they say, is history. 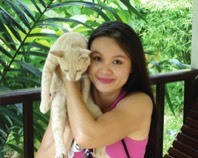 I run the business with my husband and we share the dog walking and pet sitting responsibilities between us. We've both studied the methods of canine behaviourists such as Pat Miller, Kyra Sundance and Victoria Stilwell, so we have a good understanding of both dog behaviour and positive reinforcement training techniques. This means you can rest easy knowing we're competent dog handlers and we never tackle problem behaviour with the use of pain, fear, or distress. 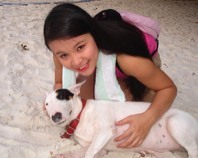 We've both studied the methods of canine behaviourists such as Pat Miller, Kyra Sundance and Victoria Stilwell, so we have a good understanding of dog behaviour and positive reinforcement training techniques. This means you can rest easy knowing we're competent dog handlers and we never tackle problem behaviour with the use of pain, fear, or distress. 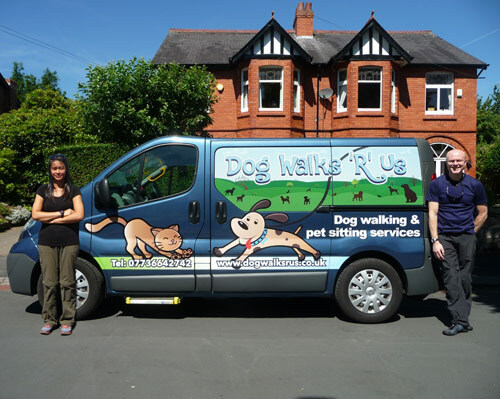 We want your dog to be as safe and comfortable while travelling with us as he/she is out on walks, so we've put a lot into ensuring our vehicle meets all expectations. We have 7 cage spaces with sizes varied enough to accommodate the vast majority of breeds and each is lined with soft, waterproof cushioning. 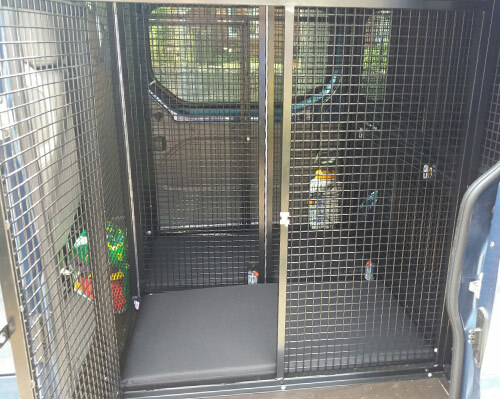 Our cage system has an escape route built in, so in the event of an accident that prevents the back door opening, all dogs can exit via the side doors. The interior is air conditioned and we have an electric fan that works while the vehicle is stationary and the engine turned off. 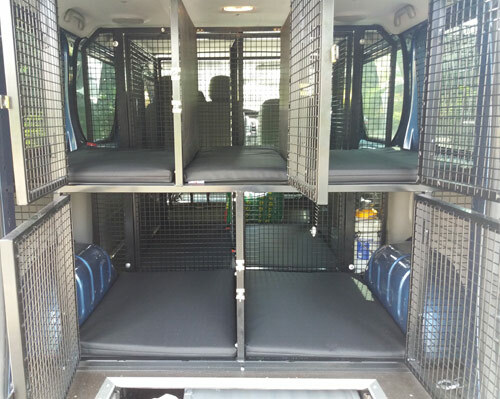 Additionally, our van is windowed on all sides, so the cage area is bright and airy (our window graphics allow light in) and with no bulkhead, we're able to see and hear the dogs behind us at all times. We want your dog to be as safe and comfortable while travelling with us as he/she is out on walks, so we've put a lot into ensuring our vehicle meets all expectations. We have 7 cage spaces with sizes varied enough to accommodate the vast majority of breeds and each is lined with soft, waterproof cushioning.